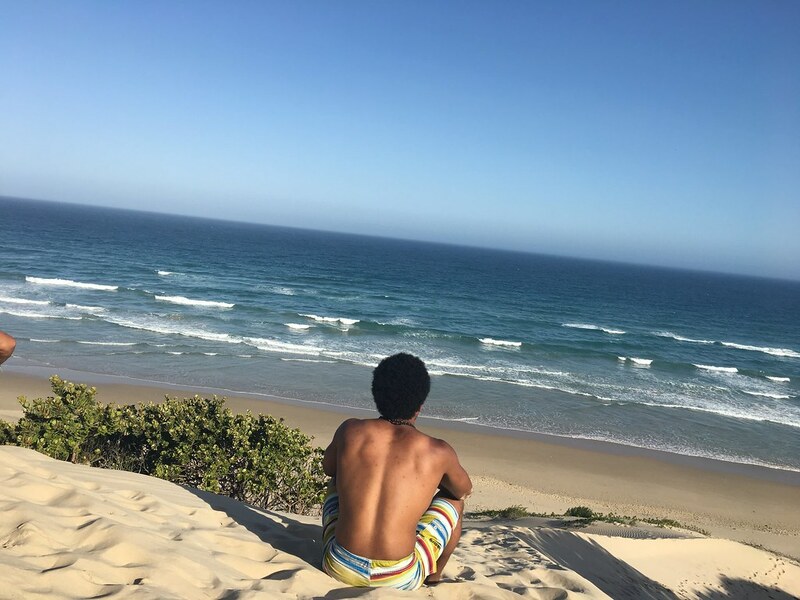 Top 10 things to do along the Wild Coast. 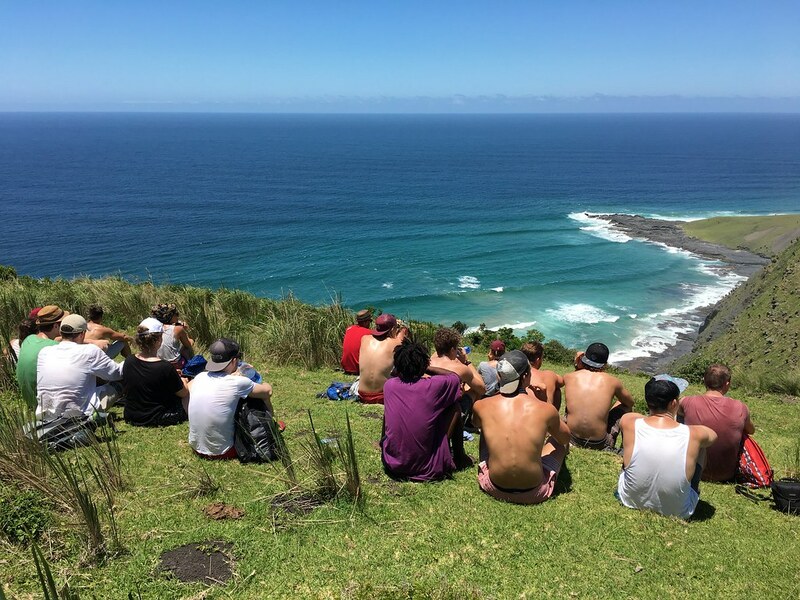 Staying in Coffee Bay is not complete without a hike to Hole in the Wall. A large group of us undertook this 3-hour journey from Coffee Shack across rolling hills, past local villages and in and amongst cows grazing under the warm African sun. The views along the way are so picturesque that one forgets the concept of time and is sweetly summoned by the earth to stop, sit and stare into the horizon for what could potentially be hours. Pictures don’t do it the least bit of justice. 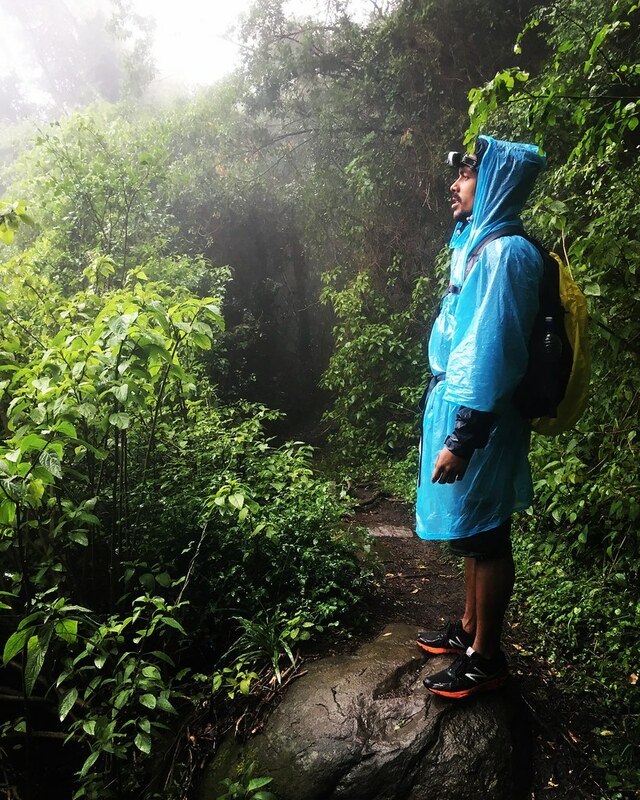 This trail is for those who feel a bit more adventurous! 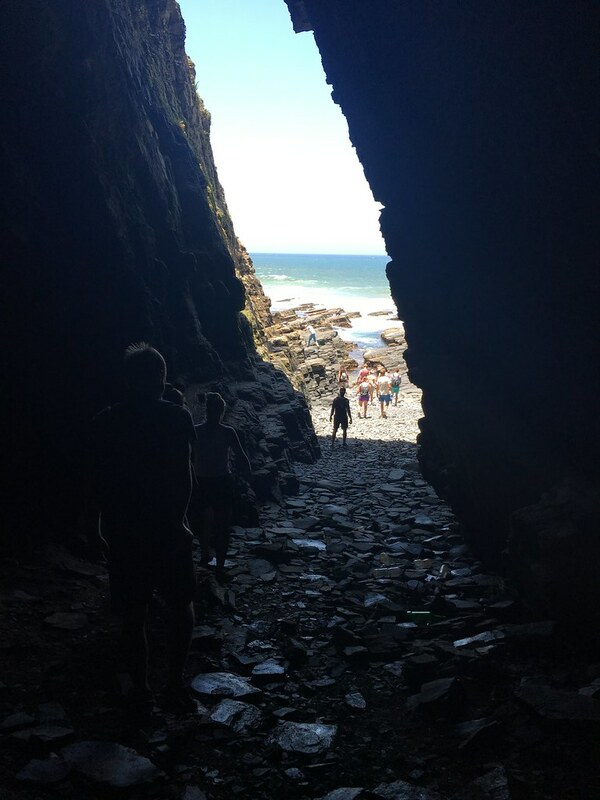 A short shuttle to the drop off point before tackling the rugged coastline and descending down goat paths (which is not for the faint-hearted). The final act is a cliff jump of about 8 metres into the water below. I am an adrenalin junkie at heart but I think my logical brain is becoming far too evolved as I grow older. Let’s just say ‘hypothetically’ that I ascended to the jump point with shaking knees and a lump in my throat. Stood on the edge and looked down into the water below and thought to myself what on earth am I doing? 20 mins later… I am still standing there contemplating my life and watching some of the others do their 2nd and even 3rd jumps. Due to the extended period of time in which I stood at the top…panicking, the cheering quickly started to fade as the group became restless. They were on the verge of giving up on me (they had no faith) before I screamed a few expletives and JUMPED!! Soon after our arrival in Coffee Bay, we cracked the nod for an invite to sunset drinks on the hilltop just behind Coffee Shack. Endless selfies, drinks, yoga, laughter and lovers’ picnics all take place simultaneously and for those few minutes pre and post sunset reminds me that the world is not such a hellish place after all. Once the sun goes down, I highly recommend a drink and pizza at the local spot called Papa Zela’s. It’s a favourite amongst the locals and for good reason, their wood-fired pizzas are mouth-watering. Bulungula Lodge offers canoe trips down the Xhora River with local guide Lindo. His warm smile was infectious and we soon found out that this was to be used to distract us from the effort we were about to exert- The walk from the lodge with paddles in hand is a solid uphill trudge for a few km’s. 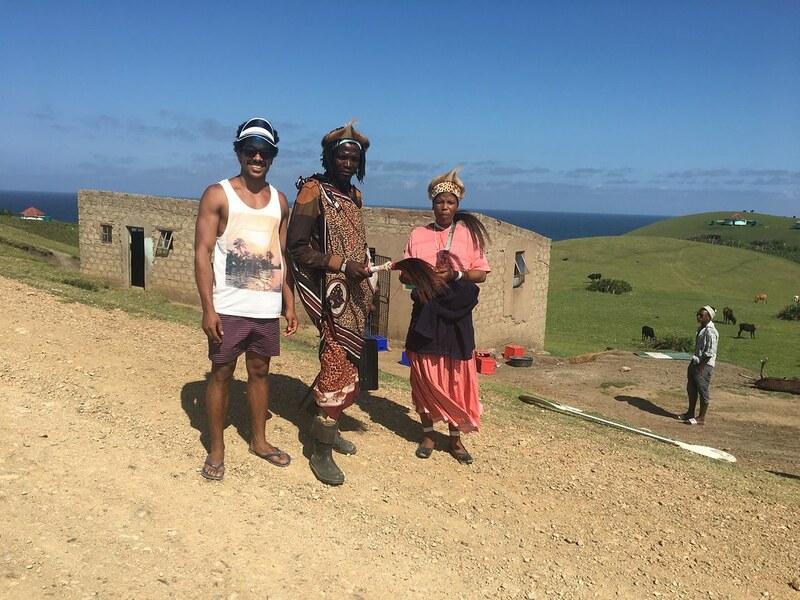 This trail walk in slip slops was worth it as we reached the summit of the final hill and cast our eyes upon the sparkling crystal clear, azure water with trees dotting the banks and horses foraging in and amongst the colourful Xhosa huts built on the hillside. 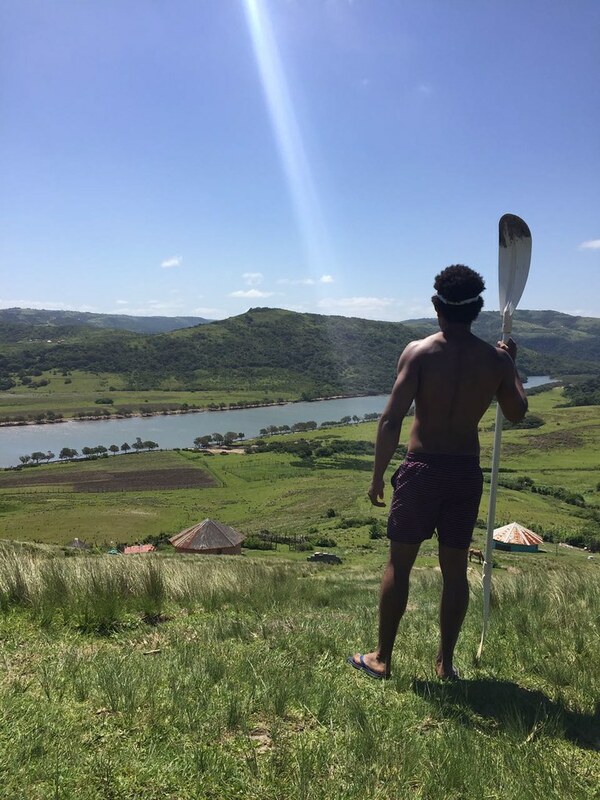 Over the next few hours, we paddled leisurely down the river with our thoughts wandering gracefully every so often, only to be shattered by Lindo showing off and standing straight up in these unstable canoes daring us to do the same. My fondest memory of this time, was when our group decided to ground our canoes and take a dip in the river. We were soon joined by the local kids who were also having a cool down and in an instant, they couldn’t get enough of my friend and his GoPro. Group shots of them jumping in and out of the water, as well as the ultimate wide-angle selfie, was a sight to behold. I fell in love with my country all over again. Yes, there is such a thing called a ‘Rocket Shower’. This old school or eco shower, whichever term will garner you points with Green Peace, uses paraffin to heat the chimney pipe which in turn heats the water and voila… you have hot water! There is a 7-step guide on how to start the shower and these are placed all around the ablution facility for ease of reference. It lasts for about 7 minutes which is actually ample time to get cleaned up. Our journey to Bulungula Lodge started off with us waiting for our shuttle outside a deserted spaza shop (local café) in the middle of nowhere, literally. The definition of the word ‘shuttle’ was an anomaly as it was an overloaded Toyota bakkie with make – shift wooden benches constructed at the back for extra seating. Halfway through our treacherous journey across dirt roads laden with potholes, it was time to offload the driver’s family members and Christmas goodies at his house. To our dismay, our vehicle decided to have a flat tyre during this whole detour. 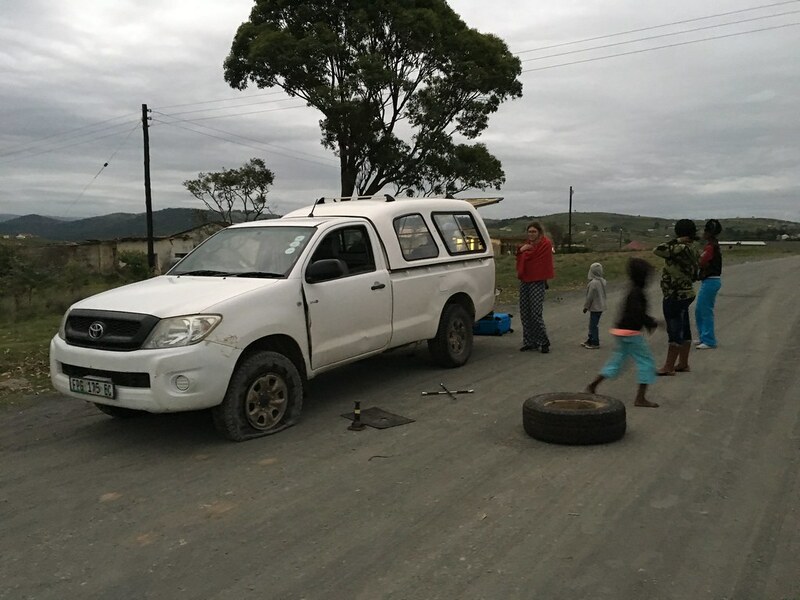 It was now time to put on the big boy pants and assist the driver with taking out the spare tyre only to realise it was also flat and that the car jack lift was suitable for a light motor vehicle and not for a bakkie. Eish. I half joked (But was actually dead serious) with the lady of the house, that if her husband does not fix the car by nightfall I will be sleeping in her bed; she was having none of it. We eventually arrived late evening and I grudgingly dragged my weary bones to the ablutions to shower. Upon entering the circular hut, I find it dimly lit by candles and the threatening presence of silver transformer looking pipes resembling the showers. Nobody has got time to read a 7 – step memo of how to work a shower in the dark …I walked straight back out! Recommendation – do NOT arrive at night along the Wild Coast. The Bulungula experience is incomplete without a walk to the local shebeen (bar). The shebeen consists of two sections; Section 1 is where you buy your drinks and anything else you might need ranging from 2kg Hullett’s sugar to cooking oil. Section 2 is the seating area where you will sit on wooden benches and plastic crates. No, this shebeen isn’t your typical pub down the road, it is merely a quirky structure comprising of bricks and mortar with a tin roof. The simple life. Ice to keep drinks cold is a sparse commodity so a bit of banter with the locals over a warmish beer during the middle of the day is quite an experience. You might even bump into a sangoma (witch doctor) who carries around a black suitcase with all his lotions and potions. Don’t ask too many questions. This is an excerpt from George Gordon Byron’s poem called Childe Harold’s Pilgrimage. It could not be more fitting in describing the feeling one gets when one arrives in forestry town of Hogsback. It is a nature lover’s nirvana. The mystical forest situated deep down in the basin of the Reserve played host to us being overwhelmed by enchanted fairies, giant smelly ogres chopping down mammoth yellowwood trees and tiny little dwarfs skinny dipping in the streams. Okay, my imagination got the better of me there but the point is there is something spiritual in this forest. Time spent in this place cleanses the soul and makes one realise that nature is a part of our human DNA and that all we need to do is listen to it. Touching base with Hogsback Adventures is top of the list. 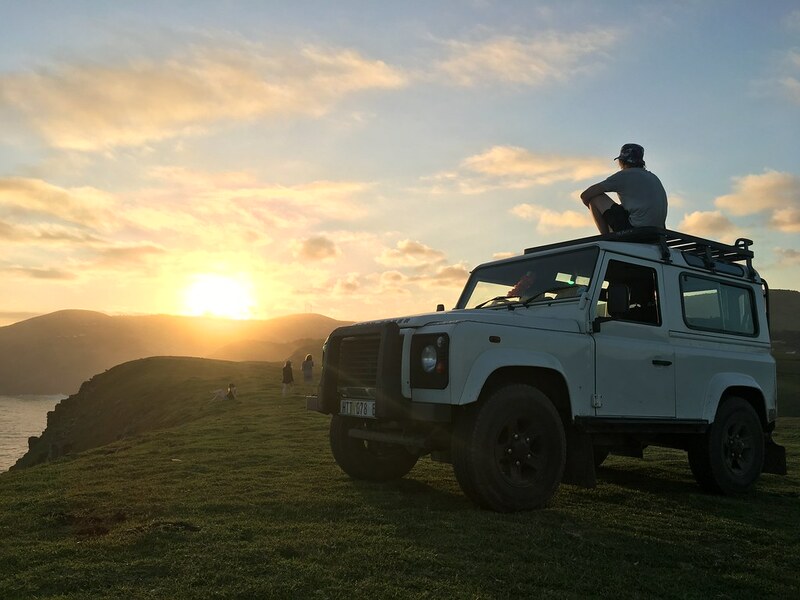 This company is run by Neels and Candy who run a tight ship and know what adventurers like ourselves crave. We did the combo tour of mountain biking and abseiling with the abseil being the cherry on top for good reason. 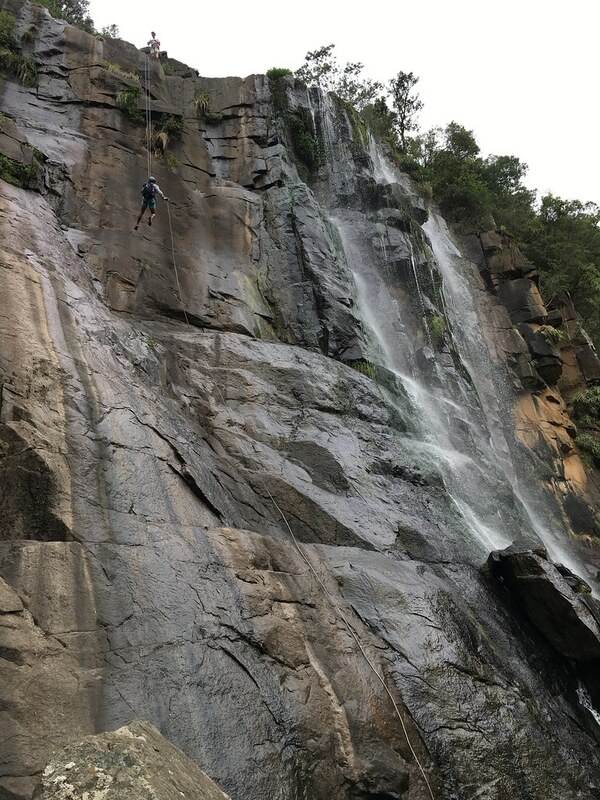 Abseiling is one thing, but doing it adjacent to a waterfall is just utterly extraordinary. Okay, that is a fib… one is too busy having a mental MMA fight with oneself trying to convince one’s lizard brain that one should trust this random equipment one is harnessed in and must lean back adjacent to a rock face while kicking away from it as one suffers from panic all the way down! Clearly, Madonna doesn’t even feature while you descending. A mere stones throw away from the foot of Island Vibe Backpackers is the surf spot nicknamed “Kitchens”. I grabbed a board and my pair of my boardies and headed out there with some surfers for a ‘narly’ session’ on this left – hand break. I am far from proficient in trying to steer my 7.2’ to the right to avoid crashing into the rocks, however, I did manage to catch a few small ones to the delight of my inner surf child. 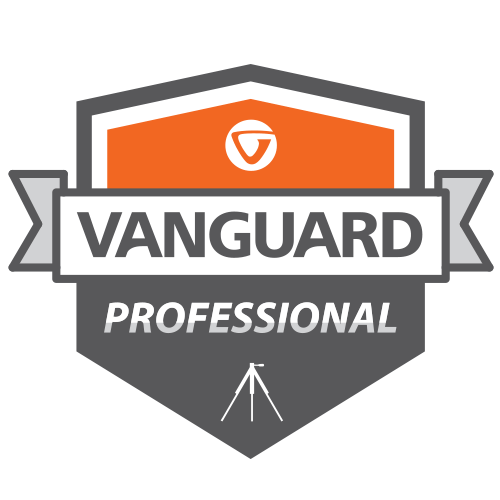 For those of you who are more proficient… Boneyards, Point, Lower Point and Supertubes are waiting in earnest. The calm before the storm. 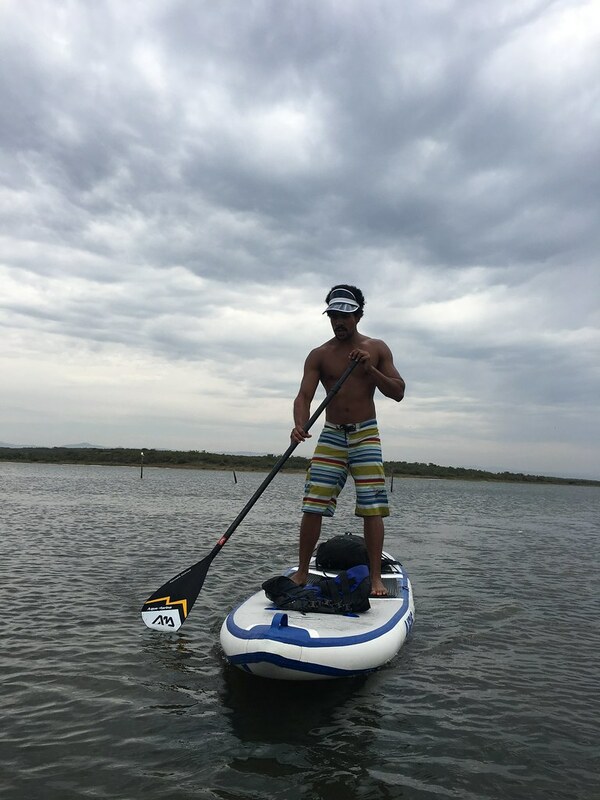 A SUP session on the Jbay lagoon is usually a very relaxed affair with our group paddling along the river bank while disembarking at various points to learn about the medicinal properties of the various flora and fauna which reside in the area. Be that as it may, on the way back to our pick – up point, the wind started to blow so strongly that with every stroke of the paddle, it felt like we were moving backwards. Never one to back down from a challenge, myself and Phillip the Austrian decided to race one another back to base. Let’s just say never compete against a CrossFitter… we know how to dig deep!